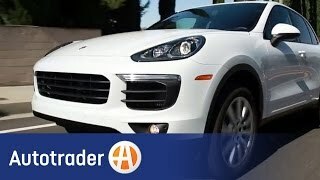 Porsche recently introduced its second generations Porsche Cayenne 2015 with revised looks. This aggressively looking Cayenne is definitely the one line-up from the house of company with which they have expectations, ‘Huge Expectations’. Not just because it’s most looked ahead model by company but also because it’s after a long gap that they went through such massive revision. Let us have a close look and see what this all new release has for us. Interior of Porsche Cayenne 2015 although has few updates but the one incorporated are undoubtedly remarkable. Major change that came across us is the all new 918 Spyder inspired multifunction steering wheel with paddle shifters mounted behind. The rear compartment of Porsche Cayenne too gets set of revision through seats offering more comfort and better legroom with optional ventilation. 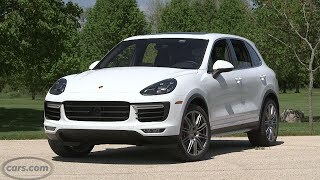 Apart from this everything remains same and hearing it from us, we don’t think changes were required in the interior of Porsche Cayenne 2015 as it already had a luxurious, comfortable and sporty interior. Massive vertical air vents at each corner and two in the center as if guarding the touchscreen compliment the entire cabin while neat dashboard and luxurious seats with enough of space to stretch your legs over long journeys needed no revision. Exterior of Porsche Cayenne 2015 received a whole round of changes; you may call it as creating an entirely new model. Starting with the front fascia of Porsche Cayenne 2015, large rectangular grille will add the aggression and yes the intakes also get a larger in size. Beside the grille are located all new headlamps with four-point LED daytime running lights with fog lamps below adding to the enlightened glory mounted over aggressive lower apron. 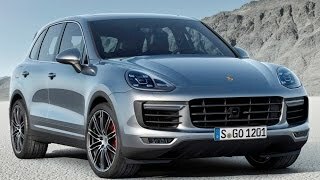 Moving towards the rear fascia of Porsche Cayenne 2015 are the complimenting taillights spreading three-dimensional effect. Adding sportier look to the rear fascia are the new exhaust pipes, elongated license plate recess and horizontal creases in bumper. 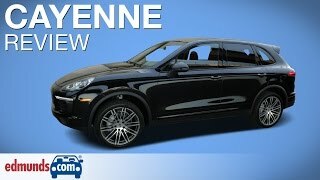 Porsche Cayenne 2015 gets massive work beneath its hood; the most likable change is the all ne S E-Hybrid model to replace the existing S Hybrid. Porsche Cayenne S E-Hybrid gets its power through the combination of 3.0 Liter V6 engine and an electric motor which delivers combined output of 416 hp and peak torque of 590 nm. Second in the list is Porsche Cayenne S getting power through 3.6 Liter V6 engine and delivering total output of 420 hp and peak torque of 550 nm. It is capable of reaching 60mph in just 5.2 seconds. Third one is the Porsche Cayenne Turbo powered by twin-turbo V8 delivering massive 520 hp and peak torque of 750 nm. Model is capable of reaching top speed of 173 mph. 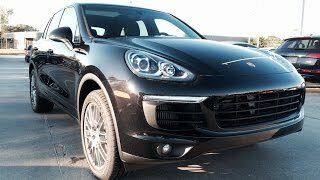 And last one enters the basic Porsche Cayenne Diesel 2015 getting power through a 3.0 Liter V6 again but delivering 240 hp and peak torque of 550 nm.